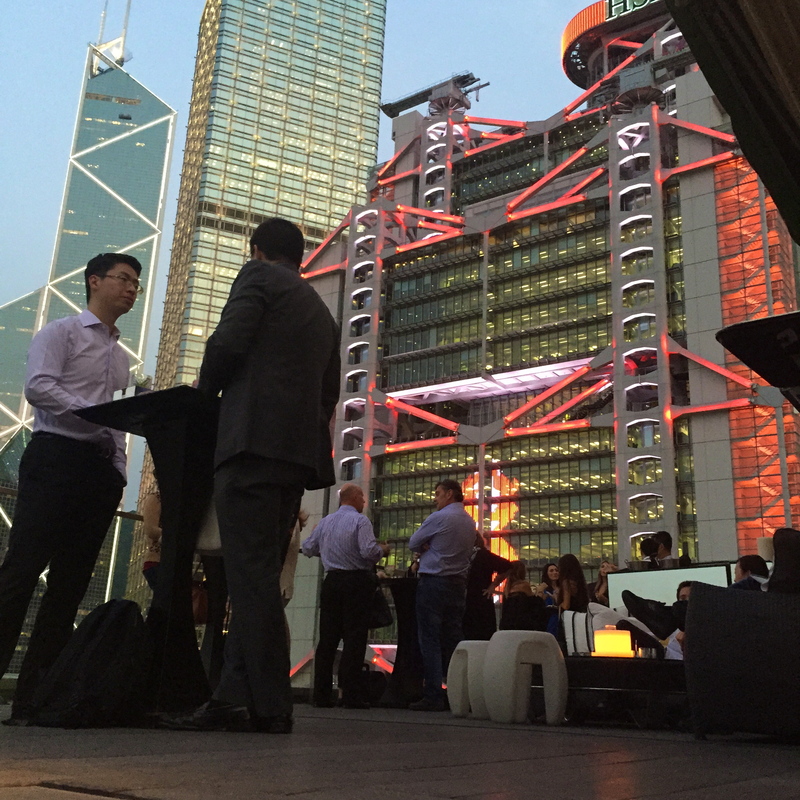 Wherever you have or not yet have been to Hong Kong, most of you will know (or have at least heard) of bars that should be on everybody´s bucket list when traveling to this marvelous melting pot of style, decadence and world-class architecture. Felix, Aqua, Ozone or Sugar are just a few, but probably the most popular ones. 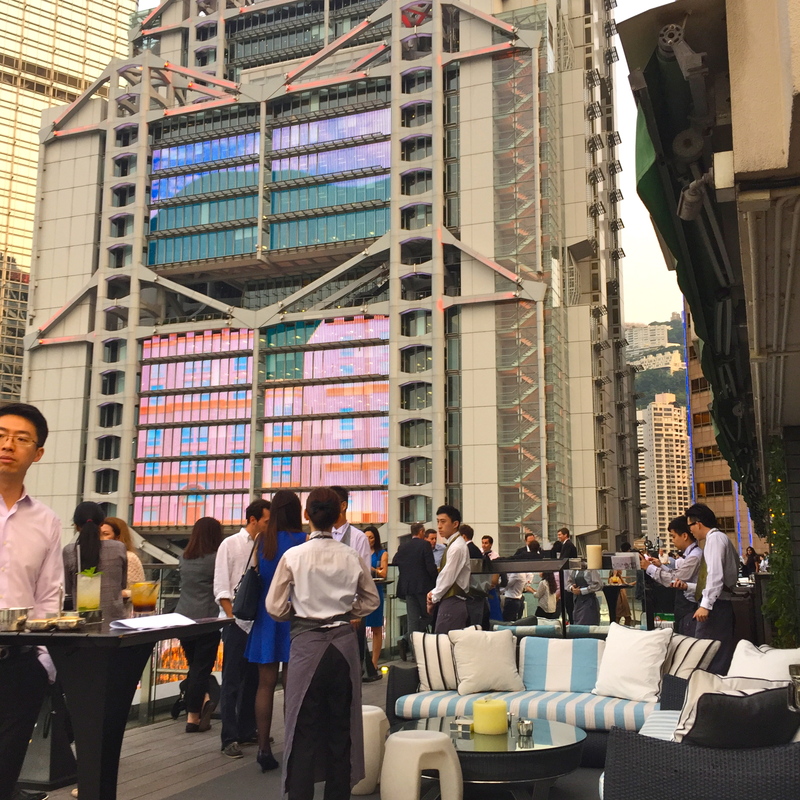 Just like most of the Asian mega cities, Hong Kong features a seemingly unlimited number of elegant and extraordinary rooftop bars with outrageous views, fantastic mixologies, fancy drinks and hip crowds, each of them trying to outdo the other by style, offerings and design. 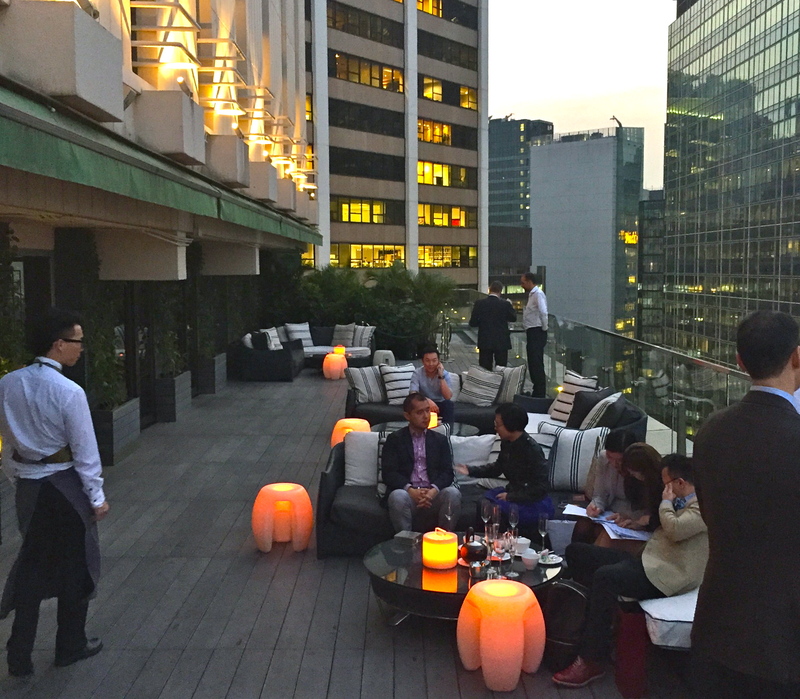 Just a few months ago (during my last Hong Kong layover), I had the opportunity to pay visit to the beautiful SEVVA rooftop terrace bar. 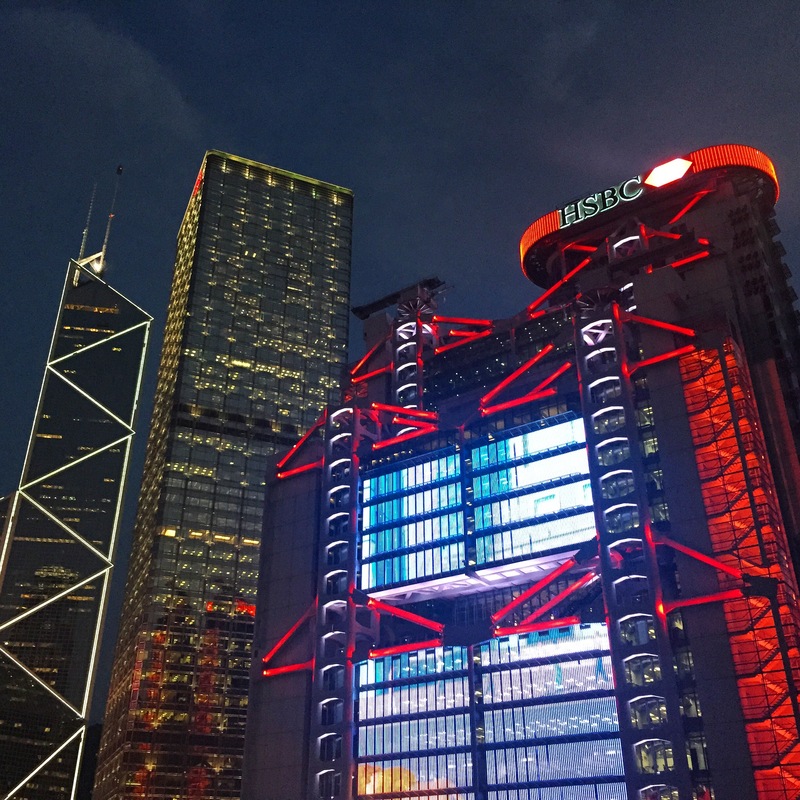 SEVVA is located on the 25th floor of the Prince´s Building on Hong Kong Island, right across the Statue Square and directly situated in between the Mandarin Oriental Hotel and the HSBC Headquarters, conveniently accessible by Metro (Central Station, exit K). But SEVVA is not only a bar. 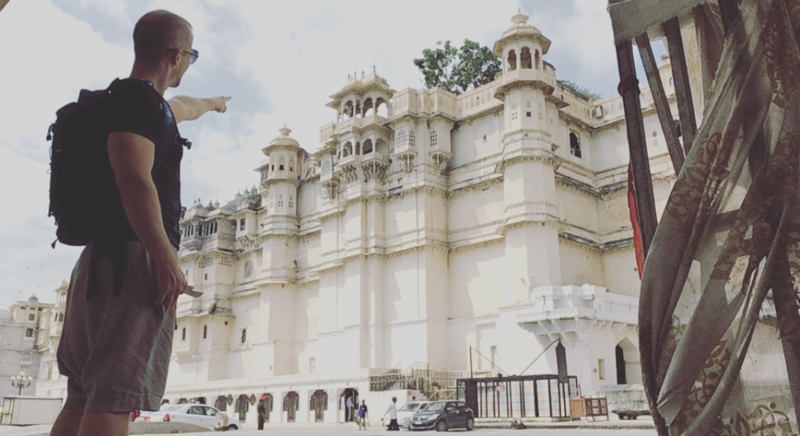 It is a conglomeration of exquisite restaurants with lux interiors and fairytale decor. Walking through this design masterpiece is an experience for itself. Self-explaining, that dining at this hotspot comes only with a reservation, adequate attire and the willingness to schedule for a respectable bill in the end (which I am sure is absolutely worth it!). 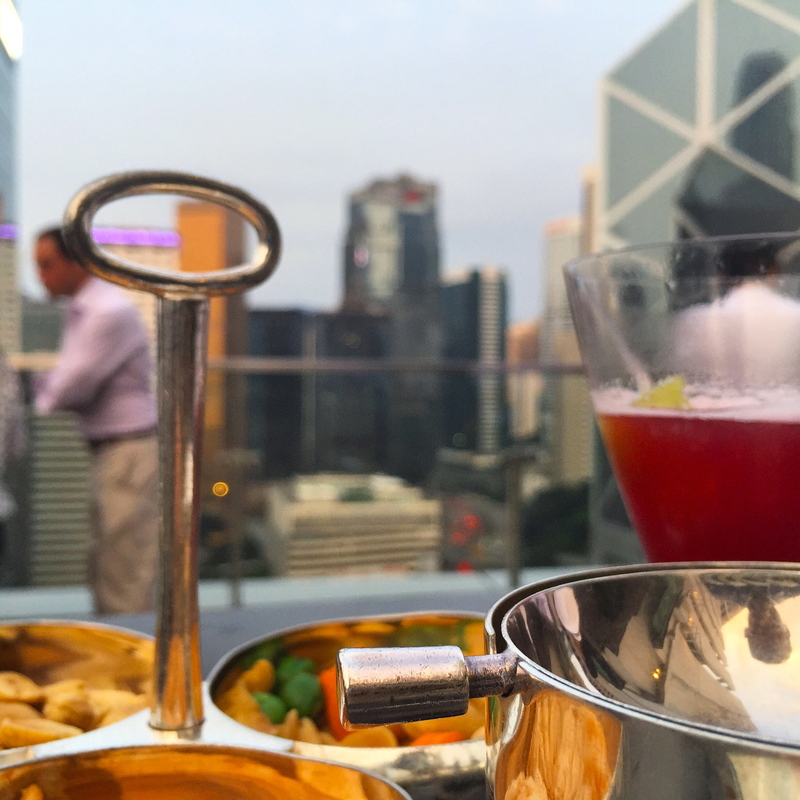 But SEVVA is also fantastic if you´re just looking for an elegant yet cosy environment to enjoy the sunset over the Hong Kong and Kowloon skyline. Either by yourself or with company. The service is impeccable, the view astonishing, the cocktails delicious (try the SEVVA Signature Cocktail!!!) and the crowd hip, but not stiff as a poker. Many expats meet here for afterwork drinks, but you can also find trendy locals to enjoy the comfortable sofas and loungers on the wooden paneled terrace. If you come early (before 6pm), it is easy to find either a place to sit outside or one of the many bar tables without having a reservation. After 6pm, this place fills up fast!